If you are like most homeowners, it is likely that you do not give your roof much thought. Sure, we see our roofs every day, but unless there is a problem with it, our roof is something that is often overlooked and taken for granted. However, a roof is an essential part to a home, not to mention it is often the only line of defense protecting us from weather conditions. Because a roof is an integral part of a home, it is important that quality materials are used during roofing installation so that homeowners can ensure their investment is protected. Quality roofing materials are those that last a long time, are protected by a warranty, and do an excellent job at keeping a home protected from natural elements while looking appealing. There are many roofing materials that homeowners can choose for their roof, each having distinct features and benefits. However, in this blog, we are going to cover tile roofing. Tile roof installation is a simple and effective way for homeowners to complement their lifestyle and enhance the value of their home. 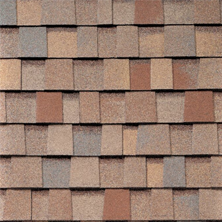 Roofing tiles are accessible in a variety of styles, each with a unique appearance. Tile roofing is becoming one of the leading roofing material choices for many homeowners and it can be very beneficial, especially in Southwest areas like Arizona. The warm climates in Arizona necessitate homeowners to make adjustments in order to make up for the soaring temperatures without sacrificing style or comfort. When homeowners do not have the proper roofing type for this type of climate, it can result in high energy bills. Tile roofing is a great choice for roofs that are exposed to hot weather conditions and dry air, like in Arizona. Many homeowners, especially those that reside in hotter regions, are opting for tile roofing installation because of the benefits that are associated with it. Like most roofing products, tile roofing materials come with several distinct benefits. 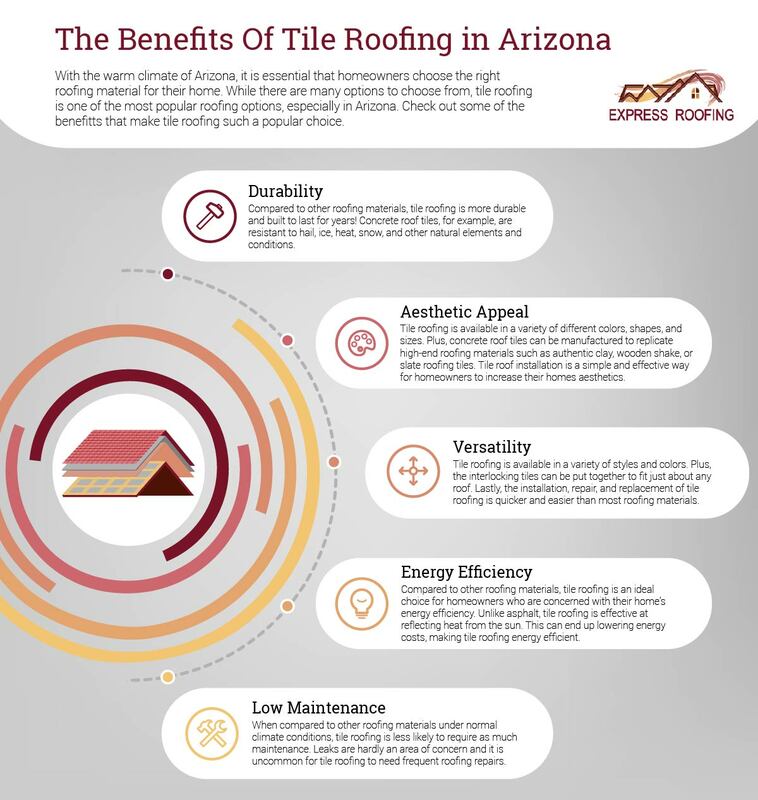 Let’s take a look at some of the most key benefits of Arizona tile roof installation that many homeowners are not fully aware of. Many homeowners that are looking for a roof that will withstand the test of time will generally choose tile roofing, and for good reason too. Tile roofs are durable and built to last for many years— some tiles lasting for over 50 years. Compared to many other types of roofing materials, tile roofing will generally last longer due to that materials high-resistance to damage from extreme weather conditions. Concrete roof tiles, for example, are resistant to hail, ice, snow, and other intense weather conditions that would otherwise cause wear and damage to the roof. Tile is the perfect roofing material to stand up to the warm weather conditions of Arizona. While appearance and style are more of a personal preference, many homeowners feel that their home looks more attractive and visually appealing with tile roofing. 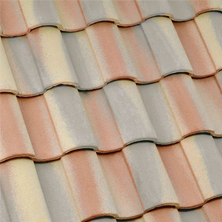 In addition, tile roofing is available in many different styles and colors. While clay roof tiles are the most common type of tile roofing, concrete tiles are lighter, more durable, and can replicate the look of authentic clay, wood, or slate roofing tiles. This allows homeowners to choose a tile roofing style they find most appealing. In addition to the different styles and colors of tile roofing, there are additional factors that make this roofing material more versatile than others. The interlocking tiles can be put together to fit almost any house of any style and come in a variety of shapes and sizes, enabling homeowners to choose from plenty of options when it comes to new roof installation. In addition, the installation, repair, and replacement of tile roofing is quicker and easier than most roofing types. Tile roofing is a great choice for homeowners who are concerned with energy efficiency. As mentioned earlier, without the proper roofing, homeowners in Arizona may notice a spike in their energy bills. Tile roofing is the perfect roofing material for these conditions. Unlike asphalt roofing, tiles reflect much of the heat from the sun, making them more energy efficient. Plus, since many tiles are elevated on battens, they allow for the natural airflow to create a heat transfer that can help keep a home cool during the warm summers. Naturally, the installation of a tile roof can help lower energy bills. No matter what roofing material you choose, at some point you may need roofing repairs. However, compared to other roofing materials under normal climate conditions, tile roofing generally requires less maintenance. With tile roofing, homeowners can limit maintenance to key areas, such as the gutters, protrusions, and venting. Other materials may require more frequent maintenance and repairs, such as painting, cleaning, coating, and sealing of the roof’s surface. There are plenty of other benefits, in addition to the ones above, when it comes to tile roofing. Due to its many benefits and advantages, more and more homeowners are selecting tile roofing for their home. Looking For A Tile Roofing Contractor In Arizona? 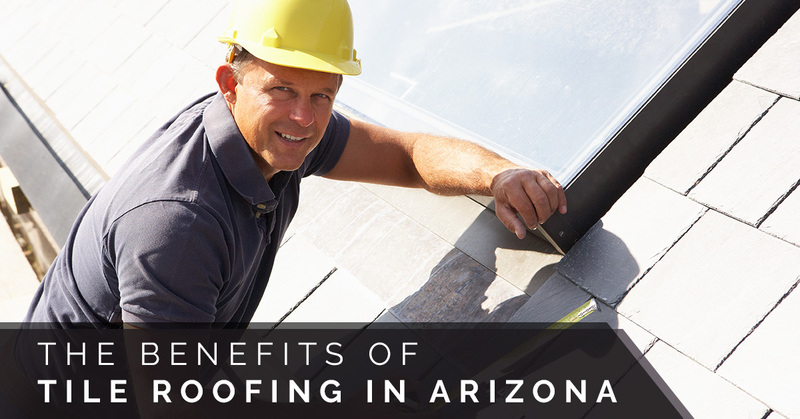 Tile roofing can be a great choice for homeowners, especially those who reside in Arizona. If you are ready for a new roof and are looking for tile roofing contractors in Arizona there is only one company to call: Express Roofing! 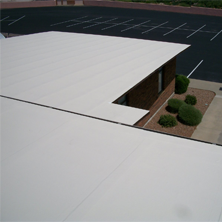 At Express Roofing, we are committed to offering our customers the best roofing services in Arizona. Unlike other roofing companies, we only offer products from trustworthy and well-known roofing manufacturers. That is why we offer our customers premium concrete roofing tiles from Boral Roofing and Eagle Roofing. With their lines of residential tile roofing, choosing the right roof for your home has never been easier. Whether you need tile roof replacement, installation, or tile roof repair, you can count the experience, knowledge, and quality of service from Express Roofing! 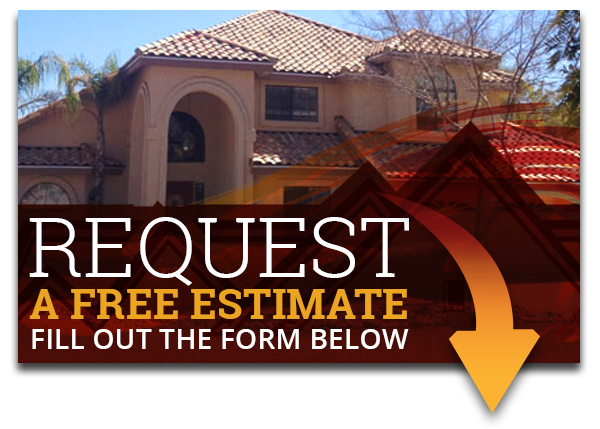 If you are interested in tile roof installation in Mesa, Phoenix, Chandler, or the surrounding Arizona areas, contact the team at Express Roofing for a free roofing estimate.